My first morning began by discovering the stunning views across the Reach (a stretch of water outside BIOS) from the canteen where all our meals were served. I then headed out for my first day of fieldwork, collecting a scientific bouy to bring back to BIOS for maintenance works. 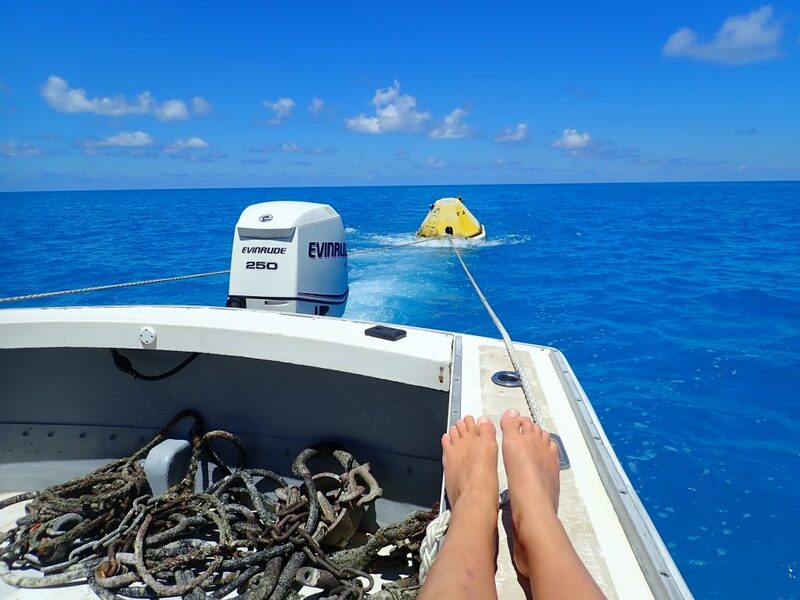 First field-day spent towing a buoy back to BIOS. After exploring the swimming spots on campus, I started exploring the island. I quickly realised just how much water is always surrounding you. 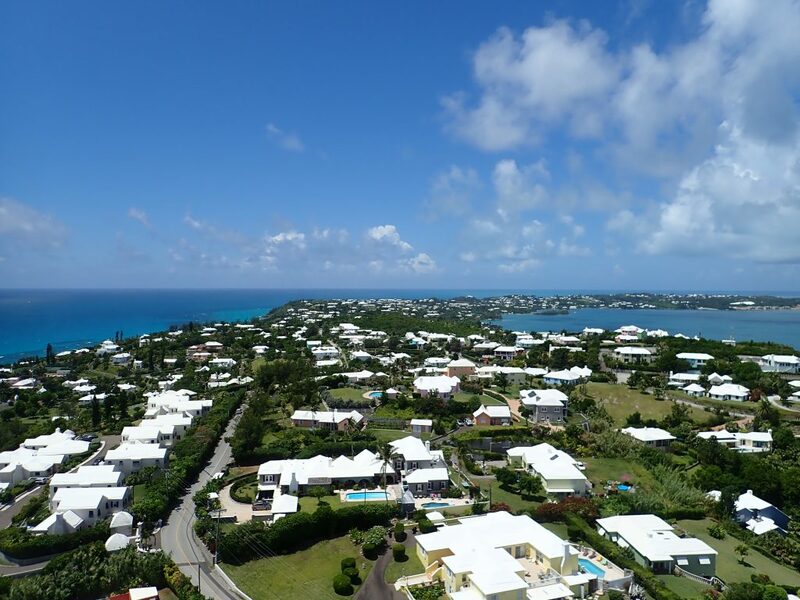 Bermuda is made up of seven main islands and many more smaller ones, giving a total land area of only 53 km2. However, it has 103 km of coastline and, as taxi drivers regularly reminded us, you are never more than a mile from water. View down the island from the top of Gibbs Hill Lighthouse. After settling in, I started on my project analysing the water chemistry of the North Atlantic Ocean. 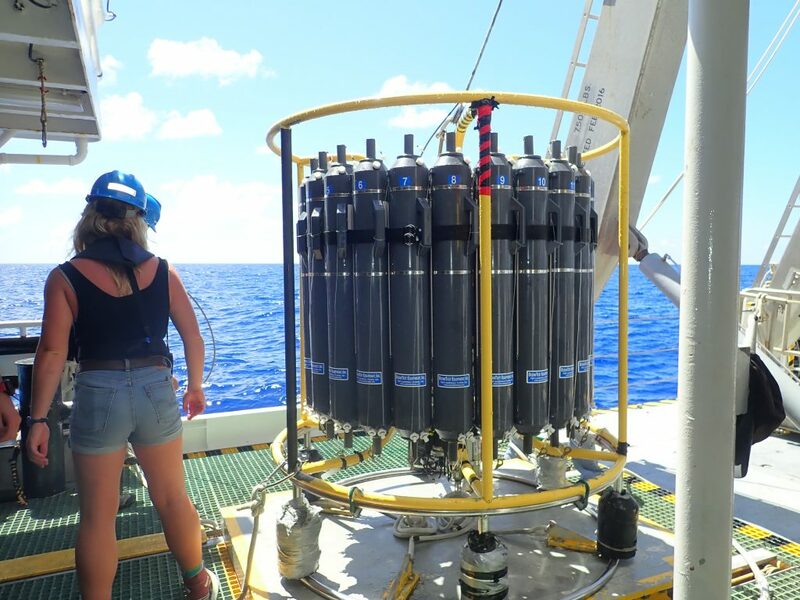 Since 1993, every Autumn there has been a research cruise collecting water samples in depth profiles at various latitudes from Bermuda to Puerto Rico. 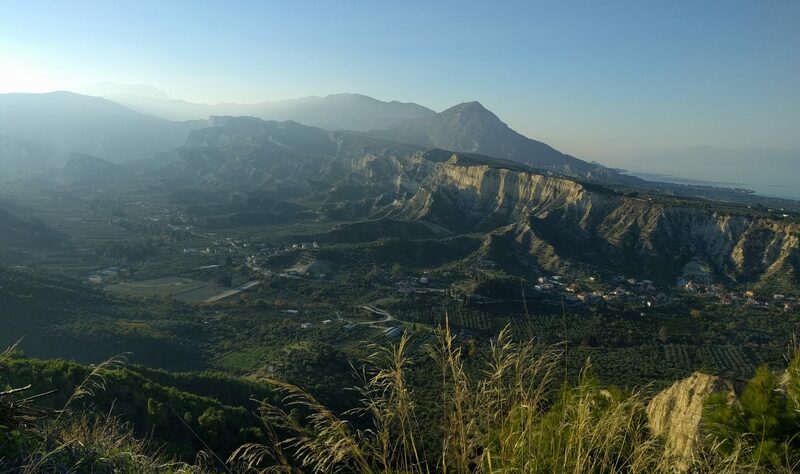 Each sample has been analysed for various geochemical parameters including pH, temperature, salinity, dissolved inorganic carbon, total alkalinity, dissolved oxygen and partial pressure of CO2. This makes up a huge dataset known as the BATS Validation data. It was my job to identify spacial and temporal trends in the parameters, to highlight the effects of global warming on the North Atlantic Subtropical Gyre. My office had a great view across the Reach, and of the R/V Atlantic Explorer which moored there. BIOS at sunrise. View across the reach at the campus and the R/V Atlantic Explorer. 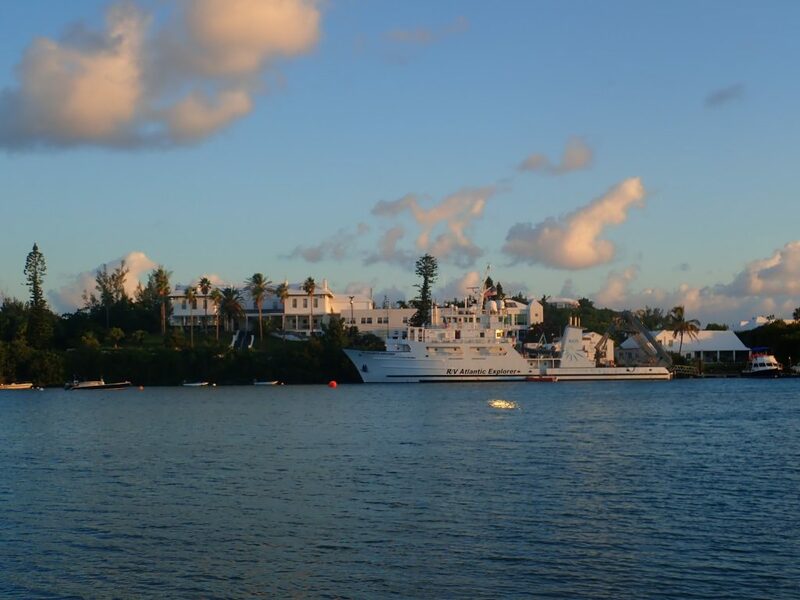 Most weeks I helped out with inshore water sampling trips, where we collected data and water samples from sites along the Bermuda coastline. 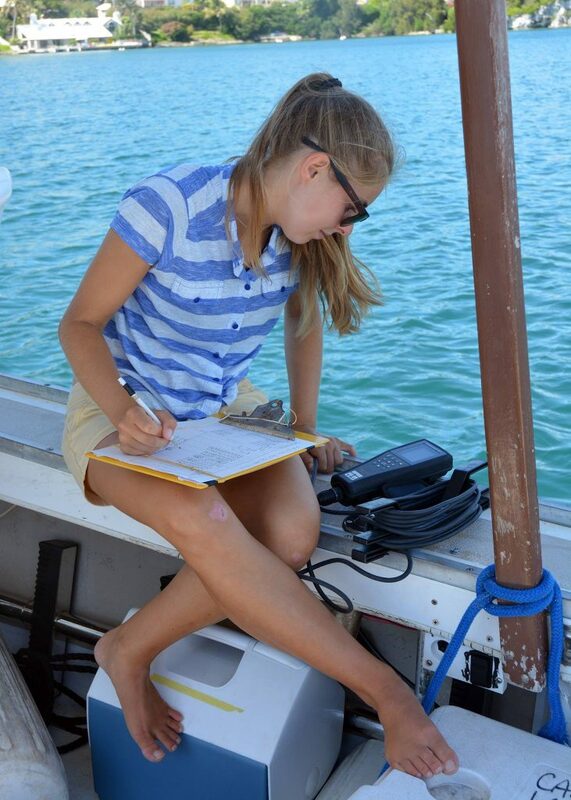 Collecting data during inshore sampling trips. During my time at BIOS I also had the incredible opportunity to partake in a five-day BATS cruise onboard the R/V Atlantic Explorer. This involved taking many conductivity, temperature, depth (CTD) casts and collecting water samples from each Niskin bottle. 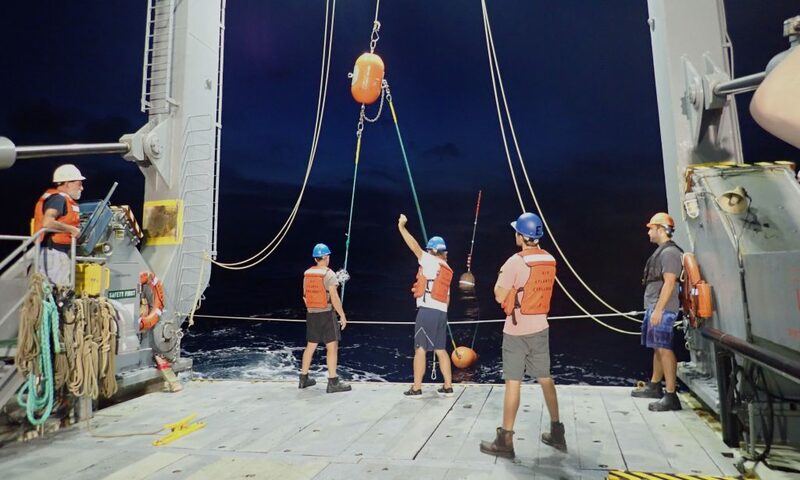 The CTD casts are lowered to around 5km depth while continuous measurements are made of oxygen, fluorescence, temperature and salinity. I also got to help out on other tasks such as deploying plankton tows and collecting faulty gliders. CTD cast made up of 24 Niskin bottles which are used to sample water at specific depths. Deploying plankton tows off the back of the R/V Atlantic Explorer at night. Being the shipwreck capital of the world and surrounded by the most northern coral reef, downtime was usually spent snorkeling and exploring the coastline. Near the end of my internship, I had the opportunity to snorkel at North Rock – an incredible experience I will never forget. 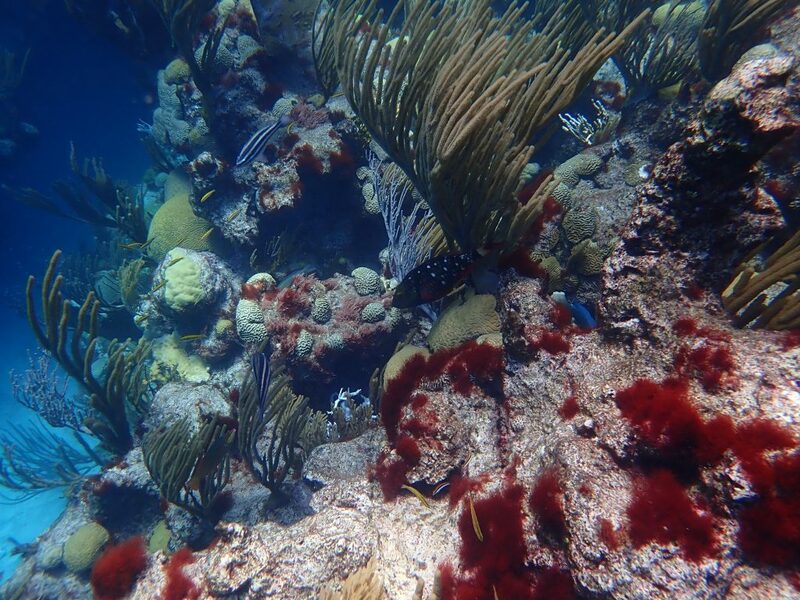 Snorkeling on North Rock, the most northern coral reef in the world.  Thanks to the Cambridge Cawthorn Institute and the Department of Earth Sciences, I had this great opportunity to spend my summer researching the effects of climate change with an incredible group of people at BIOS. Previous PostPrevious WACSWAIN Drill Log: ice core complete!